A portrait of Thomas Edward Ketchum, 1863-1901, who was also known as "Black Jack" Ketchum. 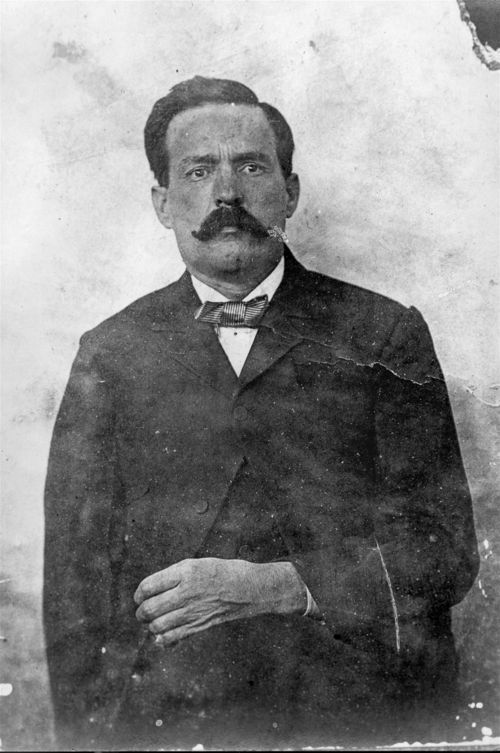 Ketchum pursued a life of train robbery and murder in the southwest as one of many outlaws based in the Hole-in-the-Wall Pass in Johnson County, Wyoming. He was convicted for an August 16, 1899 attempt to rob a train at Twin Mountain, New Mexico Territory, and was subsequently hung in Clayton, New Mexico Territory, on April 26, 1901. Collections - Manuscript - Lamborn, E. P.